The last few days have been a roller coaster ride crap and pure gold. On Thursday my hard drive crashed and I lost all my data. Through a lucky combination of my network attached storage backup and my Carbonite account I'm slowly working through restoring everything. Unfortunately based on my recent estimates from my Carbonite backup it looks like I won't have everything back until some time in early 2013. On the plus side my cousin Jeff was coming to visit. Also, a friend of Jen's had lent me a Canon EF 24-70mm f/2.8L USM to test out. I was really excited about trying this out this weekend on the road but instead all I could really do is take a lot of pictures of me swearing at my computer. 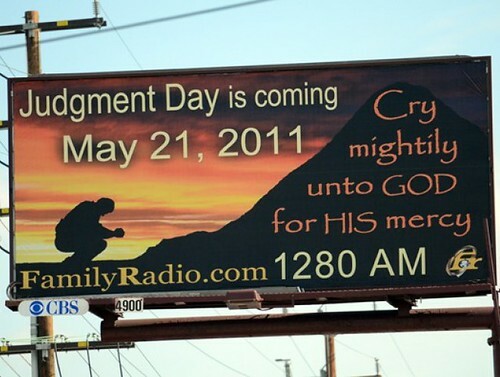 On another negative side the world is going to end today and that kind of bums me out. I always kind of liked the Earth. So, if the world was going to end I was going to at least treat Jeff, to a good meal before the antichrist pops in for cordials. I made use of the salt block once again, slowly whittling away at the shame I've felt at not using it for a year and a half. 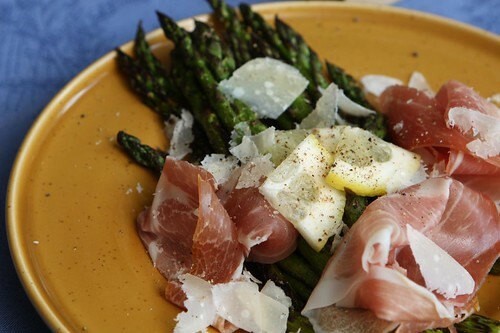 The first course was this grilled New Jersey asparagus with speck from La Quercia, shaved Parmigiano-Reggiano, and lemon. I had planned to grill so, of course, it was raining but I masterfully timed my trips outside without getting a drop on me. I'm starting to get pretty good at this. 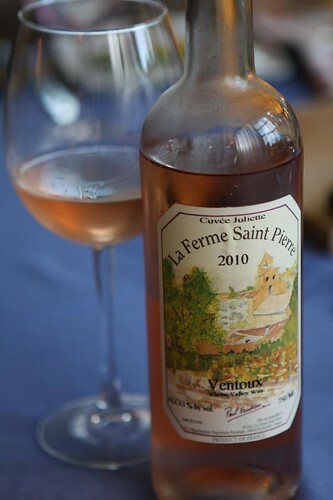 Jen and I walked to our local wine store and picked up this bottle of Ventoux from La Ferme Saint Pierre. Jen has been itching to hit the rosé. In her opinion the summer is almost over and she didn't want to go the entire summer without having any rosé. I've known Jen long enough to not bother explaining the science of why her worrying may be a bit premature. based on our memory of climbing Mont Ventoux with the aid of a diesel-powered car. The second course was roasted baby beets from Satur Farms on Long Island. I drizzled them with some balsamic glaze and fresh rosemary then Jen suggested adding the feta. I'd resisted the urge to put the feta on (for fear of seeming trite) but Jen had the sense to say, "who cares" and I had to agree. 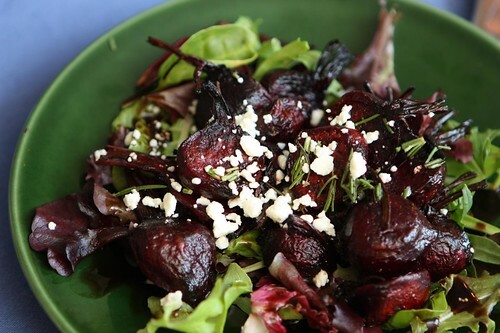 There's a reason feta and beets are often paired together: because it's delicious. 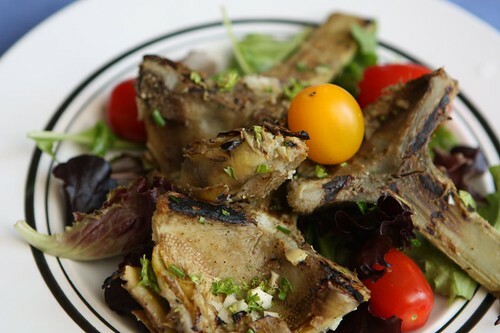 For the third course I steamed and grilled some long-stemmed artichokes and then threw them on the grill. While they were warm I tossed them with chopped garlic, lemon, chervil, chives, and parsley. 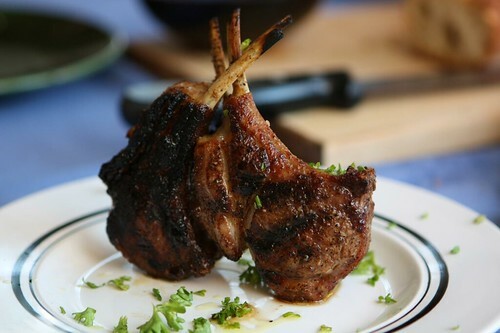 The fourth course was also from the grill: grass fed New Zealand lamb chops. Nothing other than olive oil, salt, and pepper on these guys. Fantastic. It was at this point that I started taking requests. 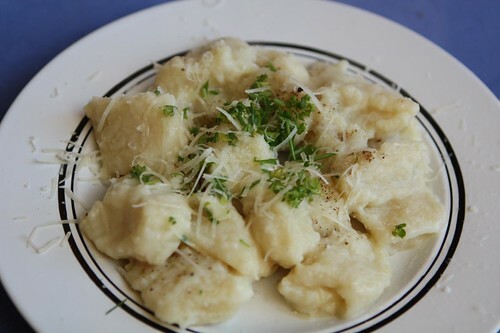 Jen asked for more of the homemade gnocchi from last week so I took some out of the freezer, boiled it quickly, then tossed with butter, salt, pepper, parsley, chive, and chervil. I think they may have swelled just a bit too much in the boiling water but they were still pretty tasty. 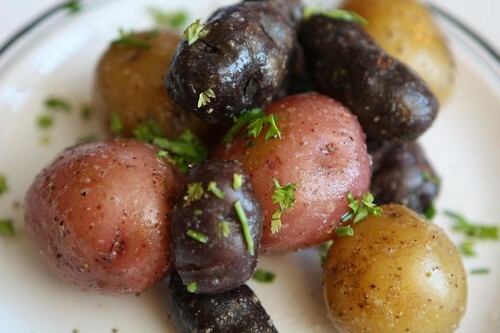 The sixth course was boiled baby potatoes tossed with butter, black pepper, and truffle salt. 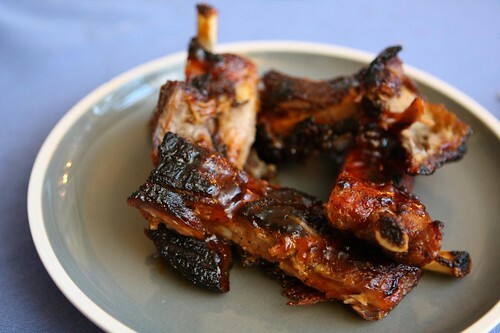 The seventh course was some St. Louis barbecued ribs that I slow cooked in the oven for a couple of hours then finished on the grill. I tossed them in FunniBonz from West Windsor, New Jersey which is still my favorite barbecue sauce. 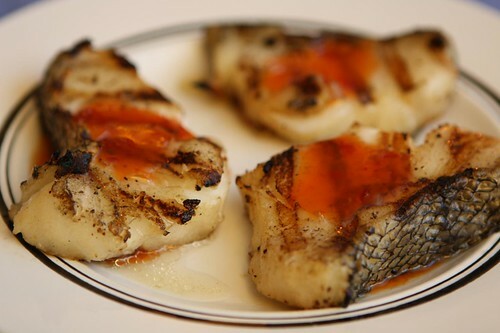 Finally, I sliced some small Chilean sea bass steaks which I grilled and finished with a drizzle of sweet chili sauce. 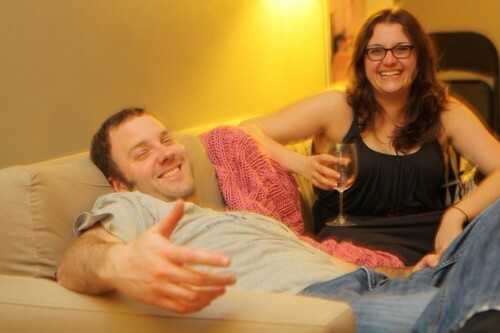 Afterward we enjoyed some brownies and Top Gear before Jeff set back out on his trip back up North to Rhode Island. Sadly, the world did not end (yet) so I'm going have to end up paying my credit card bill for these groceries. Major bummer. 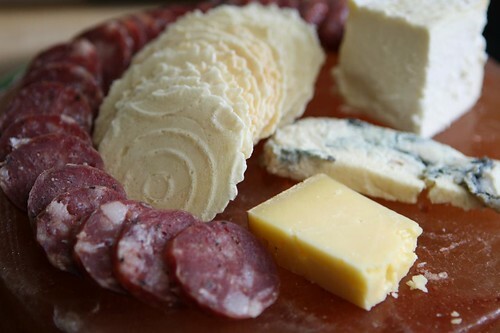 I had hoped to top off this meal with La Fin du Monde from Unibroue. Jeff and I walked to the beer store to purchase it it but the Unibroue shelf was filled with all their other beers and an empty space where La Fin du Monde used to be. They had sold out. Apparently I'm not the only would be comedian in my neighborhood.